It’s clear that the all-new Audi RS 3 Sportback delivers exhilarating performance. Exuding an air of power and purpose from its sleek, muscular bodywork and the unmistakable full-bodied and characterful sound of its five-cylinder turbocharged engine, this is an Audi Sports model true to its motorsport roots. Now producing no less than 400PS of raw power and 480Nm of torque, it accelerates from 0-62mph in just 4.1 seconds, providing you with an uncompromised drive that is sure to leave you wanting more. 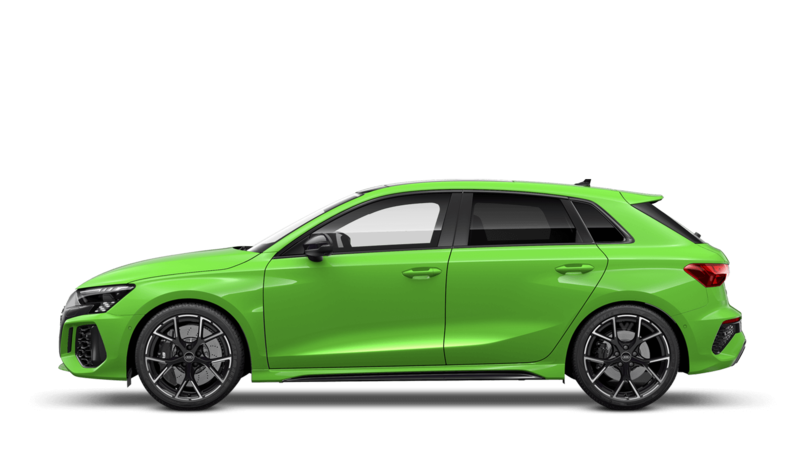 Discover all the latest Audi RS 3 Sportback offers currently available. 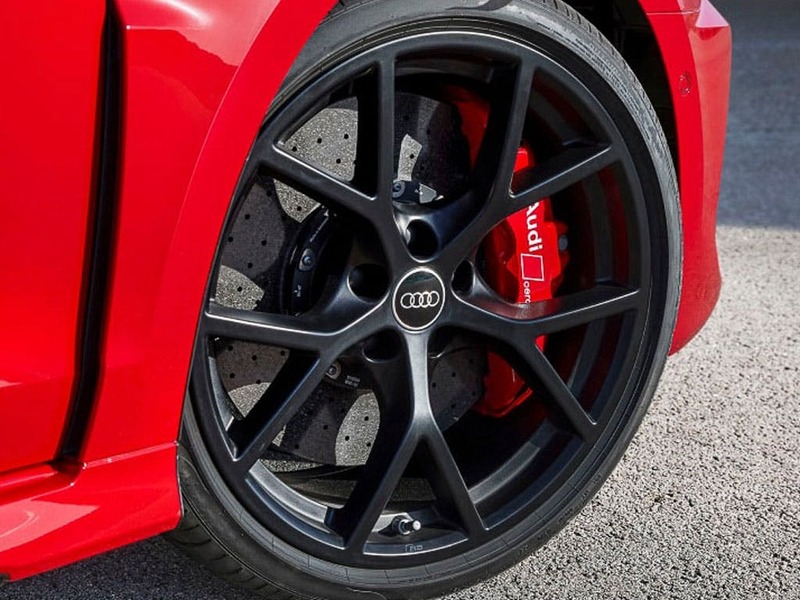 Every detail matters, view the Audi RS 3 Sportback technical specification. Download the latest RS 3 Sportback brochure. 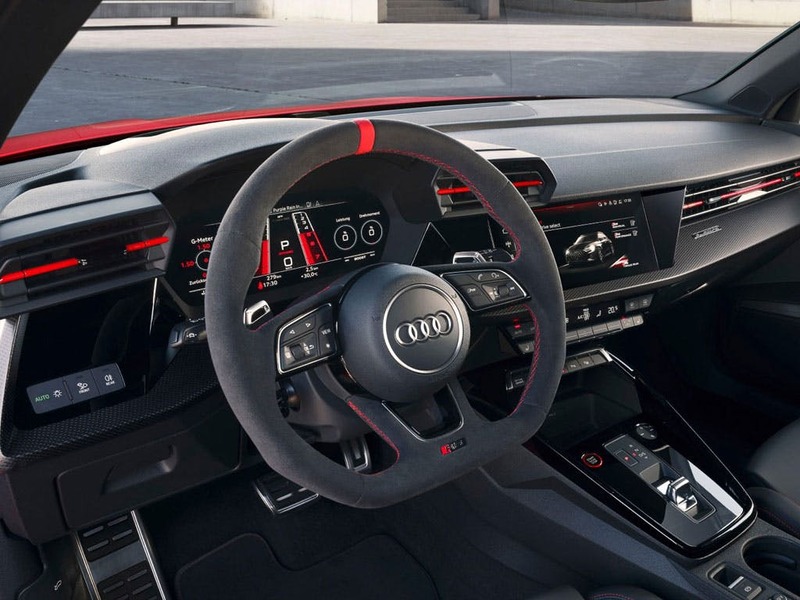 Everything inside the all-new RS 3’s cabin has been designed to improve driver connection. The variable steering ratio results in a drive that is not only more agile but also more engaging, while the manual operation of the sporty S tronic gearbox allows more precision and control, with gears shifting in less than 0.2 seconds. Sport seats in fine black Nappa leather are standard, but for even greater support there are optional RS sport seats with more contoured profiles for added comfort and luxury. With a wider track necessitating flared front arches and pronounced sills, there’s a direct link to its forebears, the quattro coupés of the eighties. 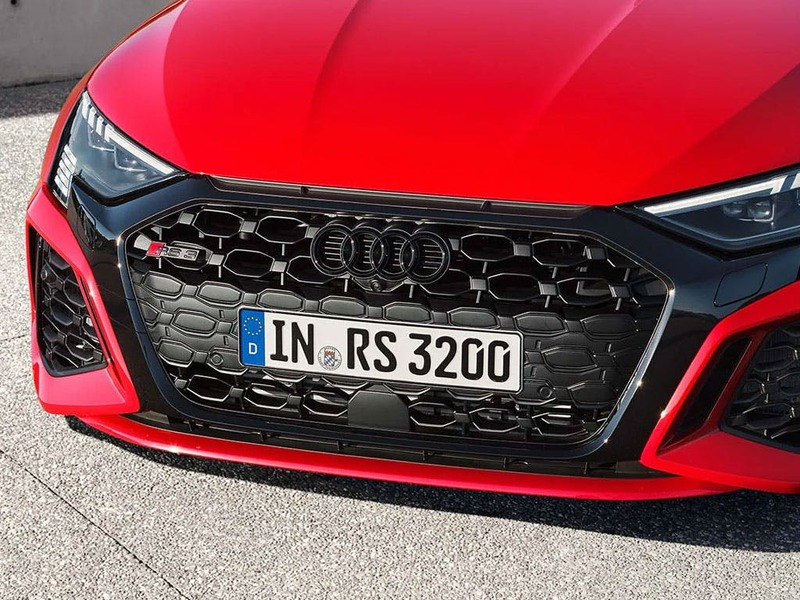 A large single-frame grille with gloss black honeycomb mesh and the substantial air inlets are all hallmarks of the RS family. 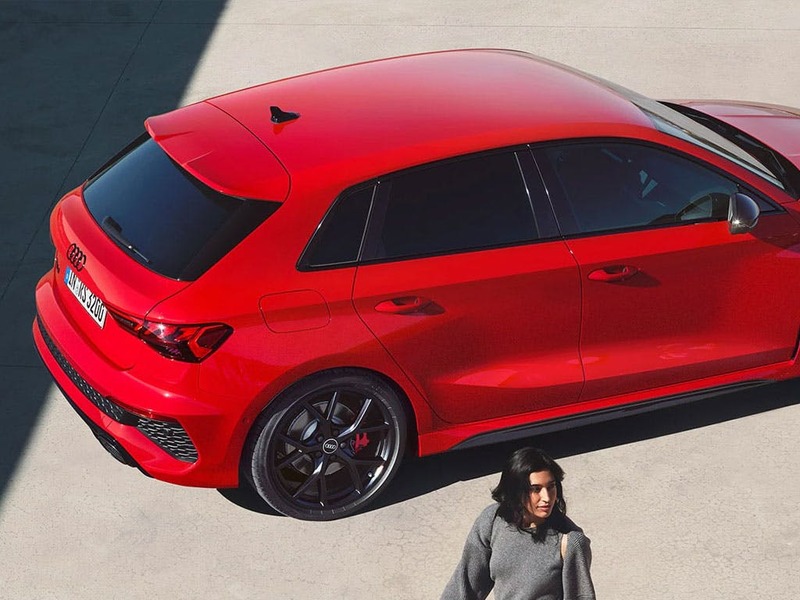 At the rear of this high-performance hatchback is an enlarged roof-edge spoiler, a diffuser insert and the large oval tailpipes of the exhaust system, together adding a determined resolution to the RS 3’s already purposeful stance. 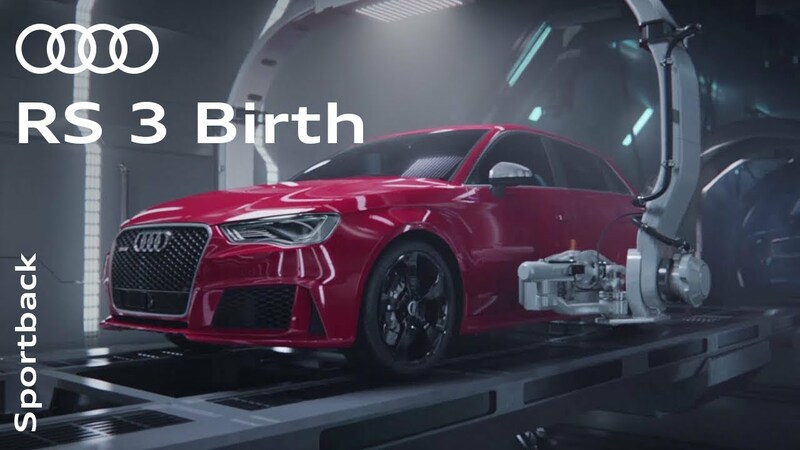 Delivering incredible power to the road, the mighty engine inside the new Audi RS 3 Sportback combines TFSI turbocharging and direct injection technology. The 2.5-litre engine is the world’s most powerful production five-cylinder engine, now with 395bhp of firepower and 480Nm of torque. It accelerates from 0-62mph in just 4.1 seconds, with a top speed of 174mph. 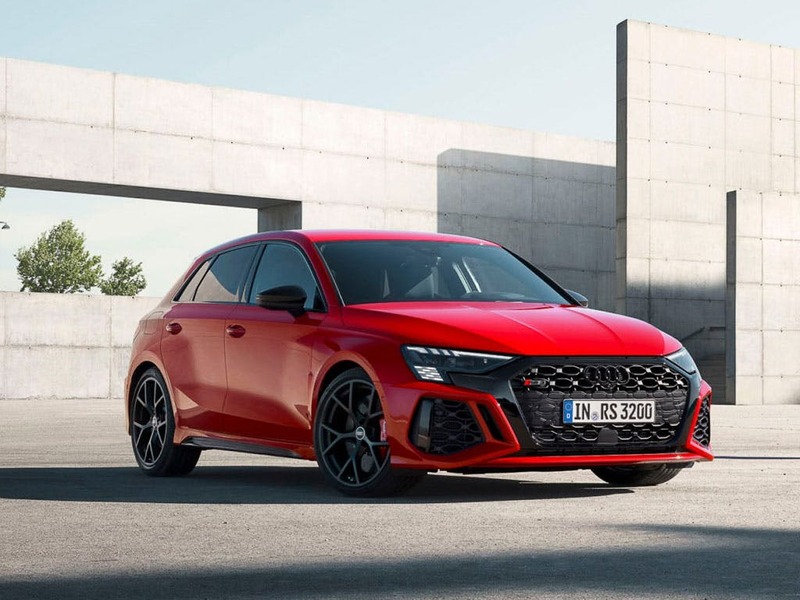 Despite such extraordinary performance, the new Audi RS 3 Sportback can achieve a combined fuel economy of 34mpg and CO2 emissions of as little as 189g/km. A range of intuitive gadgets help you stay connected, safe and entertained at all times, enhancing every journey you take in the Audi RS 3 Sportback. The RS 3’s HDD-based MMI navigation system features 3D mapping and point-of-interest display, viewable via Google Earth and Street View. The MMI connect app allows you to transfer data such as calendar info and destinations from your smartphone to the MMI system. 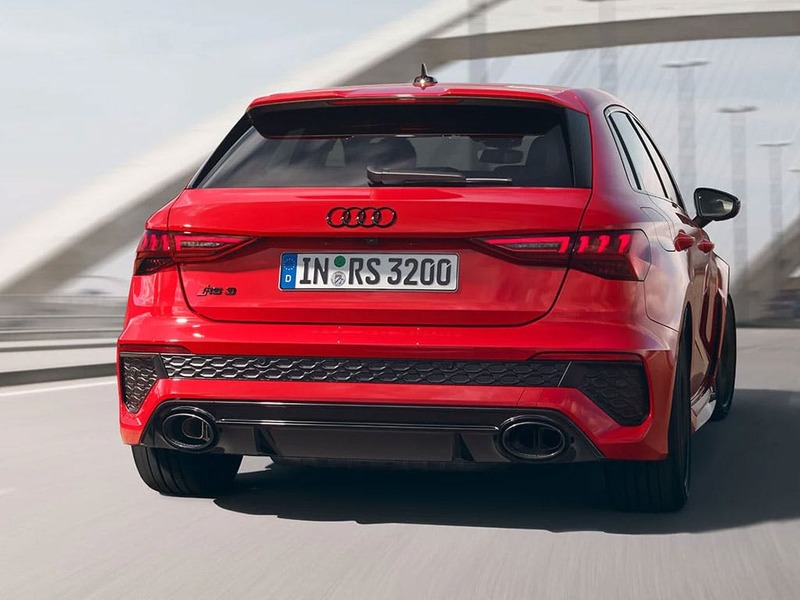 A Wi-Fi hotspot is also available, while Audi phone box allows wireless signal boosting and inductive charging from within the RS 3 Sportback. Experience the enhanced driving performance of the all-new Audi RS 3 Sportback. 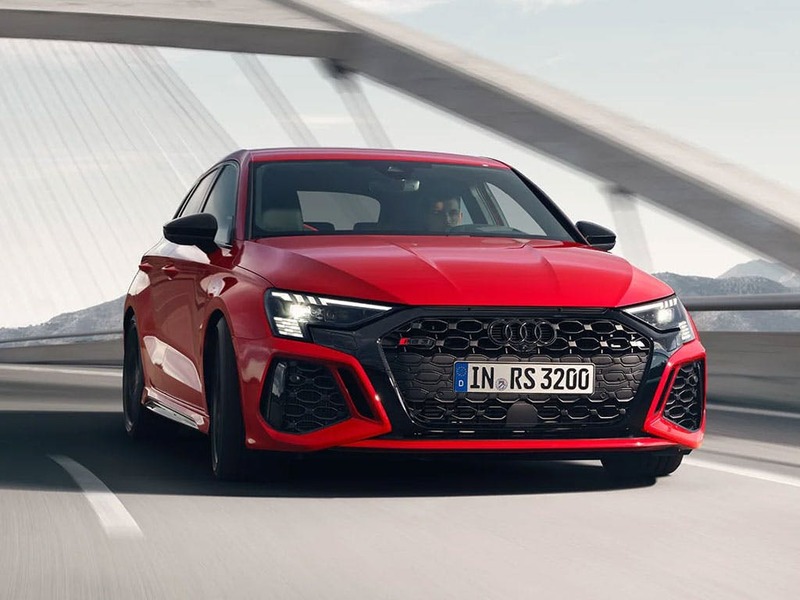 For more information or to book a test drive, visit your nearest Audi dealership in Colchester, Chelmsford, Chingford, Finchley Road, Harold Wood, Hatfield, Stansted, Southend, Whetstone and Watford. of customers that bought an Audi RS 3 Sportback would recommend to their friends and family. I would recommend Hatfield Audi to friends and family because they have provided an easy to use & first class service thus far. Explore the RS 3 Sportback specifications.